Shirley June (Brown) Tiller, a loving wife, mom, wife, grandmother, great grandmother, daughter and aunt went into the Lord’s hands on Thursday September 13, 2018 at the age of 88 in Belleville, Kansas. She was a member of the United Presbyterian Church of Belleville and Clay Center No. 180 Order of the Eastern Star. Memorial: At her request, Mrs. Tiller was cremated. A memorial celebration will be held at Tibbetts-Fischer Funeral Home on November 2, 2018 at 10:30 am. Family visitation will be at 9:30 am. Following the service, the celebration will continue at the Belleville Country Club at the 150-yard marker of Hole #1. Lunch will be served thereafter. 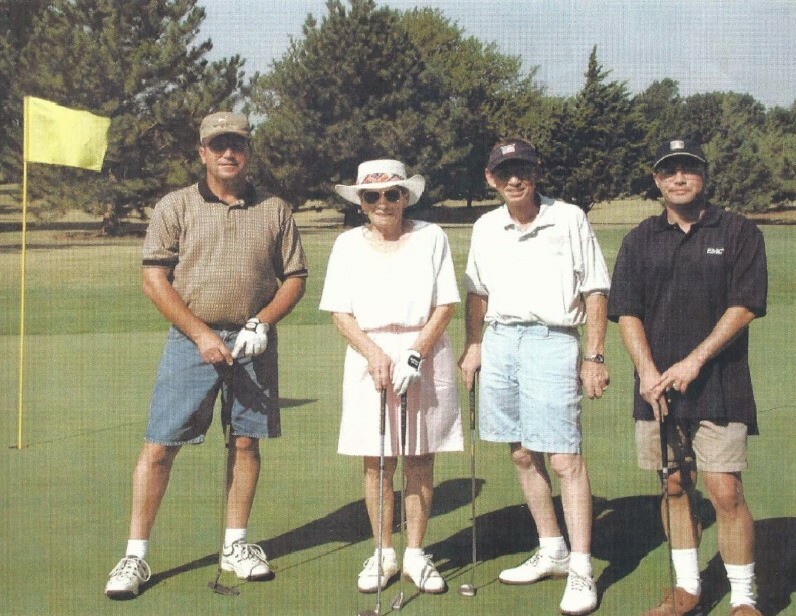 In lieu of flowers, she requested that gifts be given to the charity of your choice or to Tibbetts- Fischer Funeral Home for the Belleville Golf Club. Honorary Pallbearers: Clyde Graves, Joe Seballoz, Billy Teeter, Kenny Sells, Keith Sells, and all the kids she gave golf lessons to. Shirley was born September 10, 1930 in Lincoln, Kansas, daughter of Nellie and Benjamin Franklin Brown. In 1955 Ted and Shirley moved to Belleville, Kansas from Salina, Kansas to start Ted’s Music Company. They had a route for North Central Kansas and South-Central Nebraska. They provided candy, pool tables, pinball machines, Juke boxes, cigarette machines at every restaurant, pool hall, and gas station in the area. Together they built a very successful business. Shirley was an outstanding athlete. She loved bowling, but her passion was golf. She was very competitive in nature, her aim was to win at whatever she was doing: business, cards, or sports. Ted and Shirley did their work so by 1:30 each day, weather permitting, they would meet Clyde Graves, Joe Seballoz, and whoever was available for nickel, dime, or quarter games. Shirley dominated bowling for years in Belleville. Her high point in bowling was when she won the Salina Journal Tourney with a 681 score. She lived and breathed golf daily. She said from her constant practicing that she had callus on top of callus. Her success was not just on the local level. At the KWGA State Tournament she had 1 Championship, 2 Medalist, 1 First Flight Championship, 2 seconds, 3 thirds, 1 fourth, and 2 fifth. She won 33 Belleville Club Championships, 11 Belleville Invitational Championships, 27 Championships at other events, 19 2man, best ball, or 3man Championships. She teamed with many people around the area: Margaret Letourneau of Concordia, Debbie Sells, Marysville, Lisa Hedstrom, Tyra Frye, and Mary Ann Kasl and many others too numerous to note. She said her greatest win was in the 2000’s was when granddaughter, Adrea (Tiller) Tidwell, teamed with her to win a team tourney over the present dominate golfers from Beloit. Shirley chipped in to win the tourney, and the Beloit golfers just packed their bags and went home. She always enjoyed beating Beloit. She mentored Adrea in golf where at Div. II Lenoir Rhyne College she was a two time NCAA Academic All American. 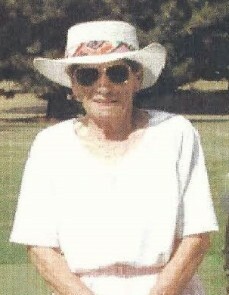 She loved giving golf lessons to anyone who was willing to listen and work at improving their game. She was so proud that both her sons had advanced degrees, and all the grand and step grand children had college degrees. Shirley left behind a true legacy. She was proceeded in by her husband Ted Tiller, sons Lane Scott Tiller, Gary Lee Tiller, parents: Nellie and Ben Brown, sisters Jerry Wright (Orin), Nadine Vickery, Barbara Combs, Annette Helus (Fred), one brother: Ben B Brown. Survivors include son Allen Tiller (Diana), Dee Tiller daughter in law, Grandchildren: Stephanie (Tiller) (Bob) Mullaney, Jodee (Tiller) (Gary) Carrier, Adrea (Tiller) (Craig) Tidwell, Chris (Colleen) Tiller, Step Grandchildren: Jennifer (Eric) Mackinzie and Kristen Uribe. Great Grandchildren: Brandon, Ryan Thomas, Ethan Mullaney, Kyle and Brooklynn Carrier, Cohen and Callum Tiller, and Anderson Tidwell. Great Step grandchildren: Jordan Catahan, Adri McClain and Gaby Uribe. She was blessed with a great many nieces, nephews, great nieces and nephews. Tibbetts-Fischer Funeral Home assisted the Tiller family with arrangements.